In this post, I would like to tell you how to get from Phuket to Phi Phi islands without any problems and how to enjoy the islands if you only have a few hours assigned to the trip. 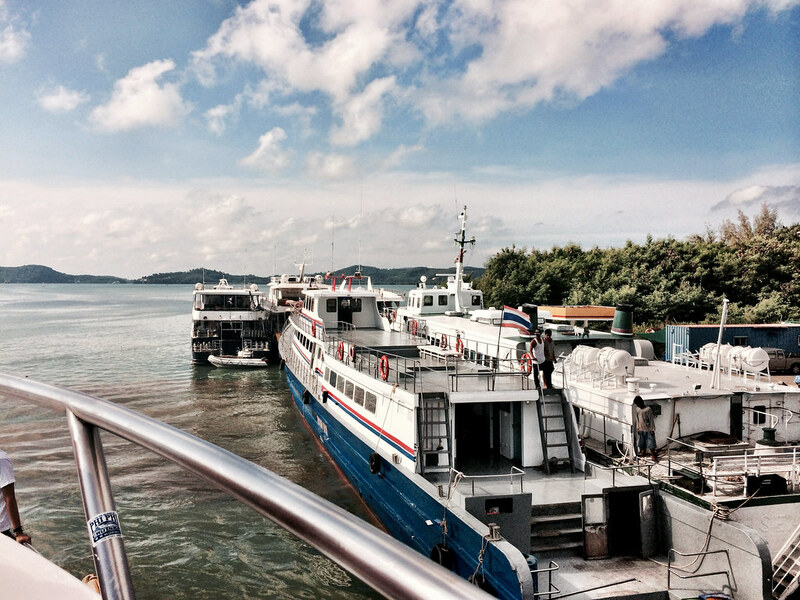 First of all, all the ferries from Phuket to Phi-Phi islands depart from Phuket Pier (near the Chalong Bay). There is almost no place on Phuket from where the pier would be impossible to reach. However, if you’re staying in the upper part of the island, prepare to spend some time in the taxi and even more time on your way back (because of Traffic in some areas of the island). 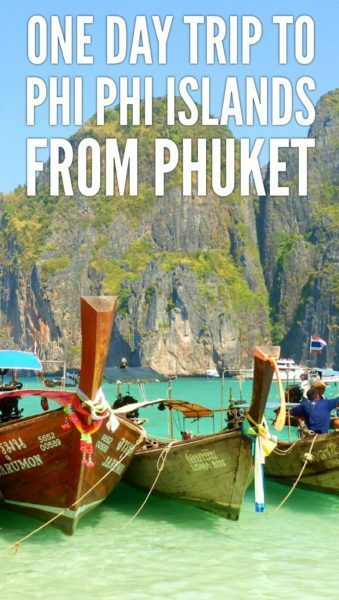 How to get from Phuket to Phi-Phi islands? Well, the cheapest way depending on your location, would be probably getting to the pier and buying a ferry ticket there. You can check the ferry timetable here and prices too. Another option: buy a tour from your hotel with pick up/return to your hotel. This is a slightly more expensive way but it involves far less hassle. They will deliver you to a ferry departing at a specific time and you’ll have a time for coming back too. Another option is not waiting for a ferry: you can hire a speedboat: bad thing about it: sort of expensive. The good thing about it: the speedboat can deliver you to some amazing beaches where you wouldn’t get on your own. 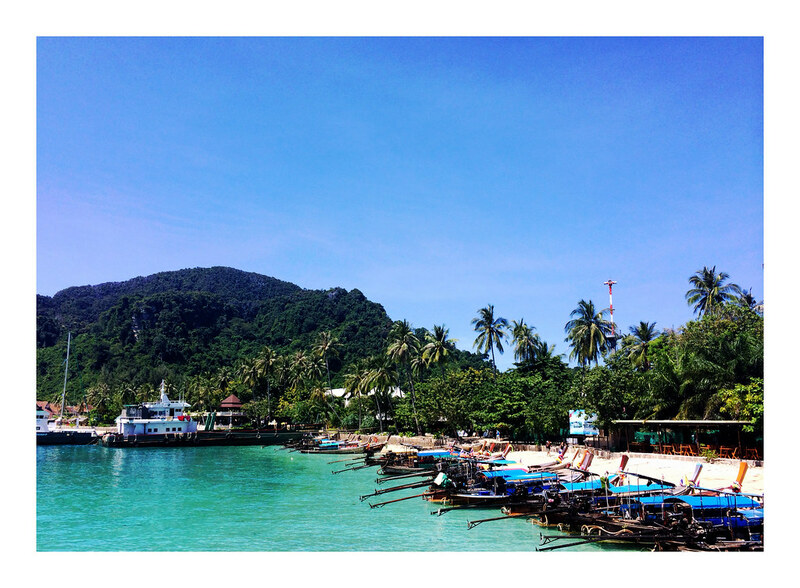 Also, it’s possible to hire a speedboat near the Phi-Phi Don pier, so it’s a pretty flexible thing. Depending on what do you want to do, you can decide, whether you want to be limited by time or you don’t want (and choose a tour option or independent traveling). If you choose the tour option (as we did), you have a chance to go swimming in the deep water (included in your price), or just go to the island for 3-4 hours. 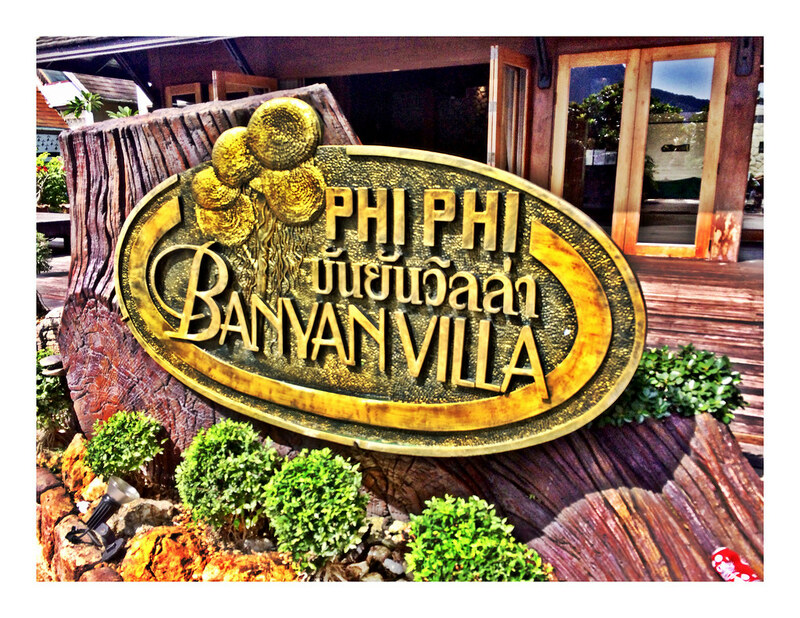 Well, what can you do on Phi-Phi Don (the main island) for 3-4 hours? The beach looks amazing even despite the fact that it’s actually a bit crowded. But if you want to swim, there is a small challenge: you need to walk for 200-300 meters if you want some deep water. Yep, that’s the secret why the water on Phi-Phi is so blue: it’s not deep at all there! Phi-Phi is quite a scenic place and it’s a pleasure to walk around and take some photos there. So why not? There are plenty of souvenir shops around there. Actually, you can find some nice deals on Phi-Phi Don. I even bought a bag and a dress there. There are plenty of cafes and restaurants, so I’m sure you won’t die of hunger there. Important tips: try to return to your ferry at least 20 minutes before the departure! Otherwise, you’re risking to be left without seats! Nearly all the people want to sit in the lower levels of the ferry (because the sun is simply unbearable on the top), so we’ve seen some people sitting/laying on the ground there (which is clearly not the best option). To summarize: well, Phi-Phi islands are definitely worth visiting! AndI would advise you to stay there at least for 1-2 nights (so you can get to other islands and beaches) but in case you’re strongly limited by time, yes, it’s perfectly possible to discover the biggest Phi-Phi island, Phi-Phi Don just within one day. 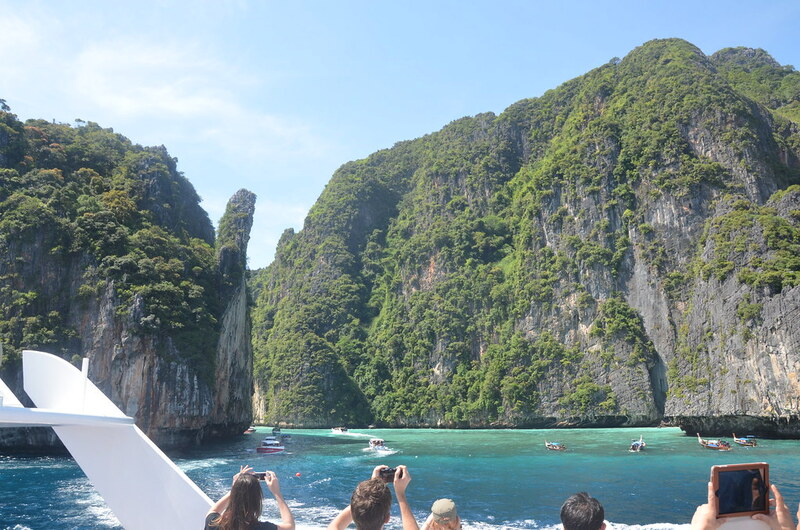 One-day trip from Phuket to Phi Phi islands will get you the overall impression of the beautiful islands. In case you need some information about Bangkok, read this. 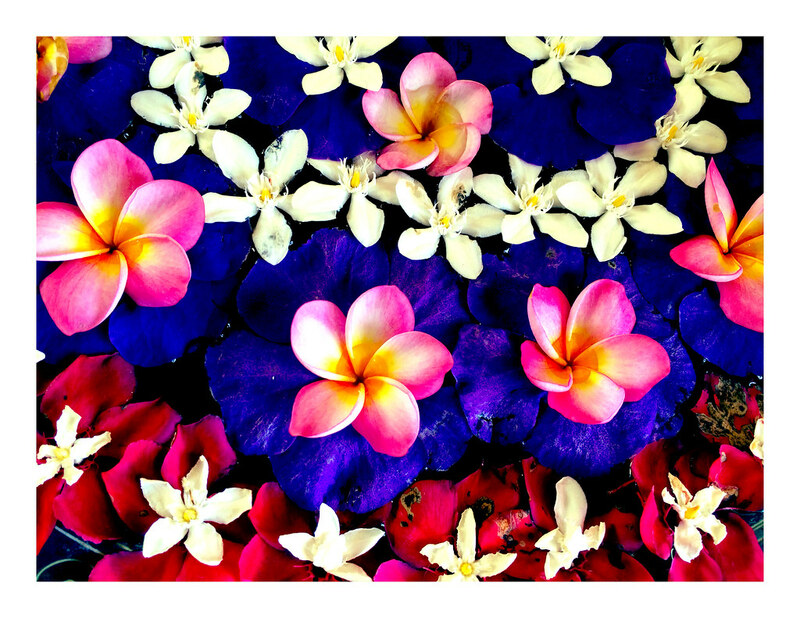 Thinking of going to Pattaya, click here! Wondering, what can you do in Chalong, then read this post! 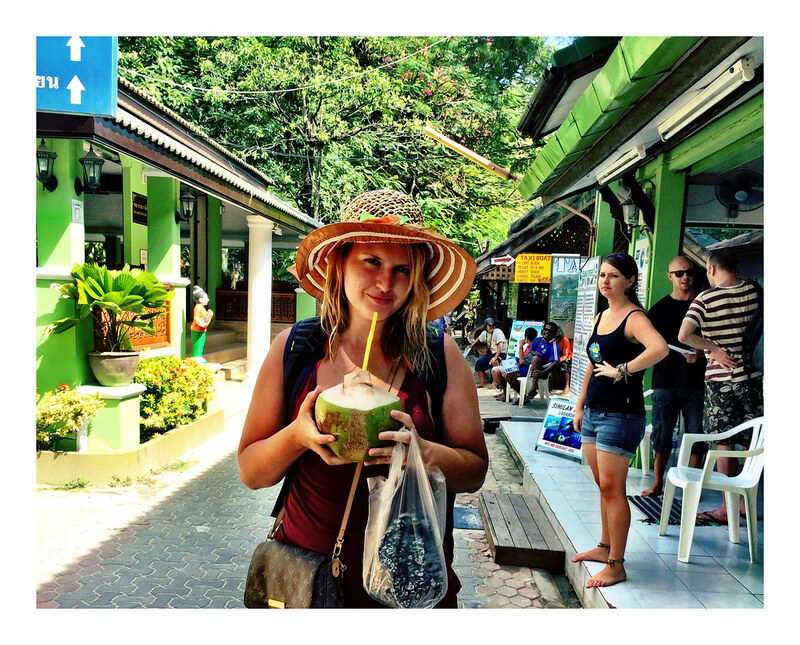 Liked this post about “One-day trip from Phuket to Phi Phi islands: what to do”? Save it on Pinterest! Thanks for the post. It’s extremely useful.